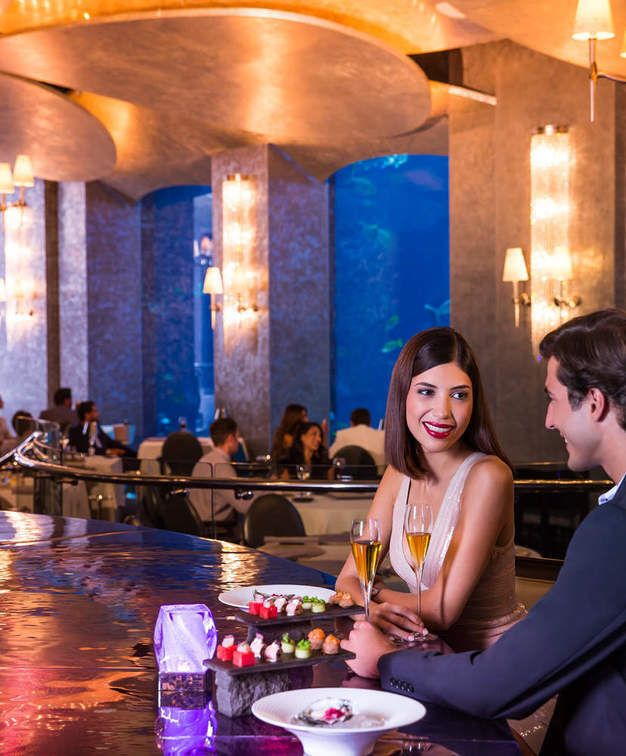 With its privileged location atop the crescent of Dubai’s irreverent man-made island, this jaw-dropping, under-water inspired destination offers the ultimate in luxury destination. Whether the aim is to reward with luxury, bond through adventure, impress without limits or stay somewhere offering an endless array of exciting amenities and activities combined with outstanding working conditions, clients will want to consider this sprawling 46-hectare site. 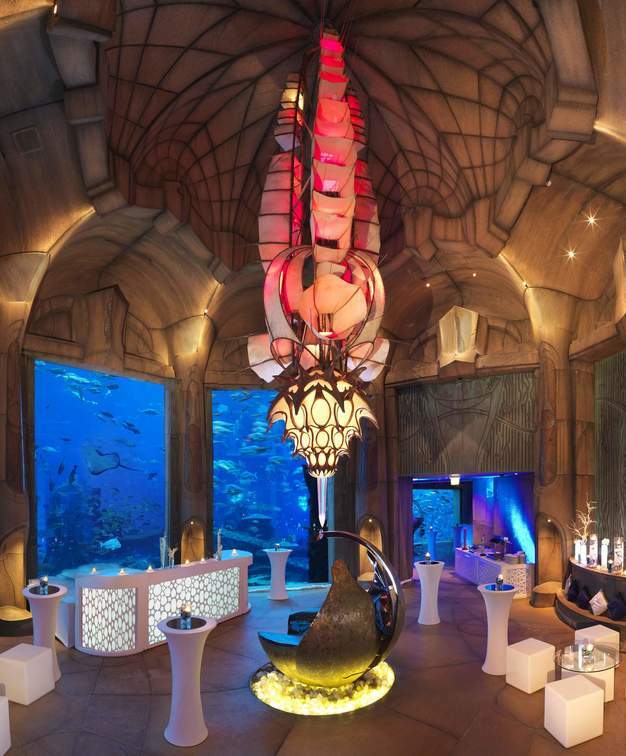 True to the vision of Sol Kerzner the resort’s Executive Chairman, here guests are transported into the fantastical world of Atlantis and of the Arabian nights while enjoying groundbreaking hotel services that can cater to every need and want. Each one of the 1539 rooms spread over the East and West Towers connected by the indulgent Royal Bridge Suite in the middle, is uniquely and lavishly decorated with fantastical marine designs. Sensational vistas of the Arabian Sea, the iconic Jumaleia and the impressive Dubai skyline complement the interior design. "Outstanding experience. The staff is amazing. The best customer service. The hotel room was above any expectation. Lots to do and see. I highly recommend staying at the Atlantis the Palm, swimming with the dolphins, shark safari, and the water adventure park. I will definitely go back!" There are no limits to the imagination at this venue. 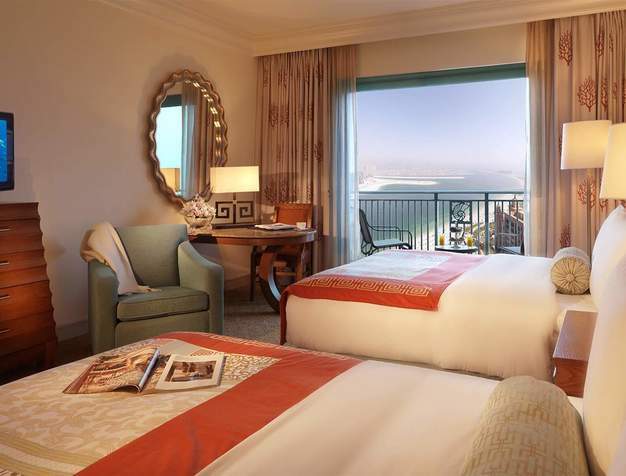 With 14 meeting rooms, three ballrooms and two boardrooms, the Atlantis Palm can cater to client's every need. You can also look into the outdoor venues which include the Conference Pool, Private beach and Royal Terrace. The array of dining options is hard to beat, including, but not limited to, Yuan which serves traditional Chinese Szechuan cuisine, the award-winning Nobu (with contemporary Japanese cuisine with Arabian influences) and Bread Street Kitchen & Bar with a signature British menu signed off by the renowned Chef Gordon Ramsay. 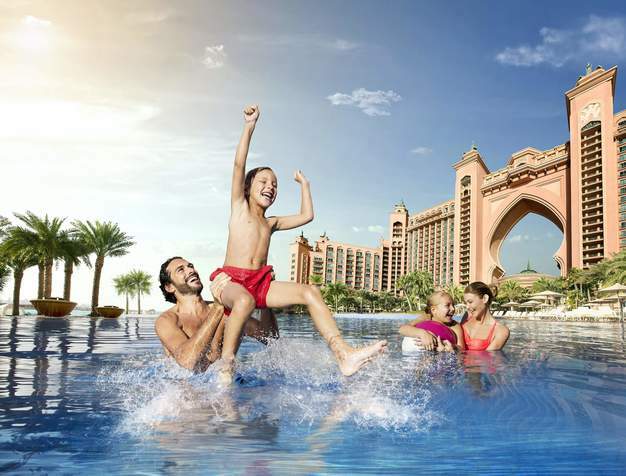 From private sandy beaches, to enchanting aquariums and incredible water theme parks and even swimming with dolphins, guests at Atlantis the Palm are spoilt for choice.